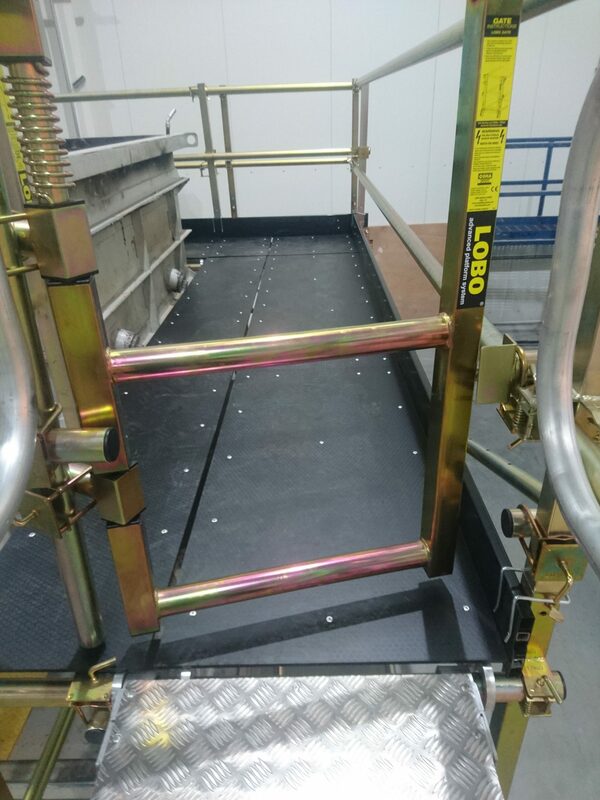 The LOBO Systems Gate is a new product that adds safety to your existing LOBO Advanced Platform System. 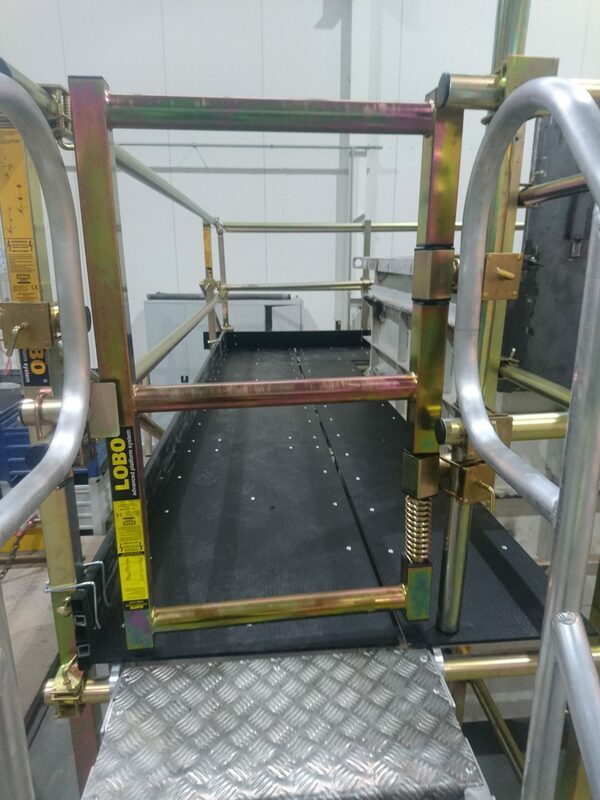 The LOBO Systems ladder access gate adds security and complies with the Working at Height safety regulations. 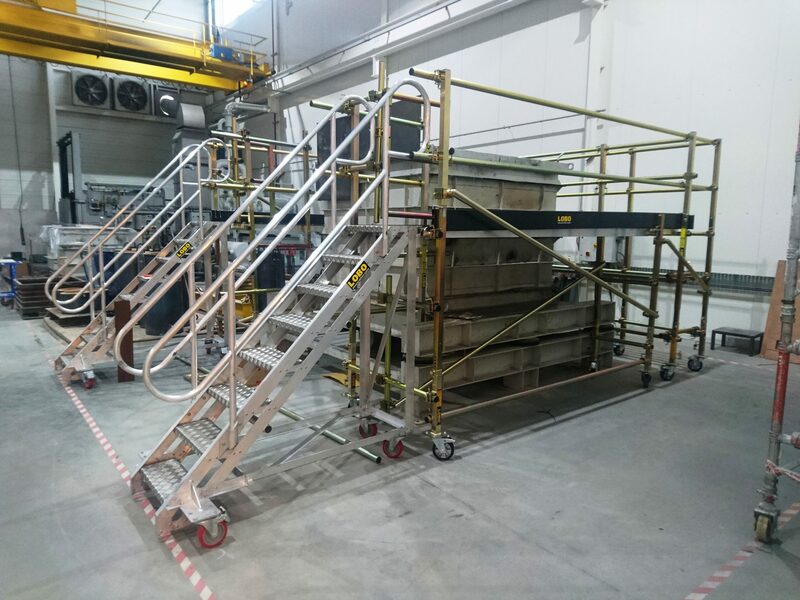 For use when a ladder is used to access the LOBO Systems scaffold structure from the outside to safely secure the opening, preventing falls from height and incorporating a strong spring which close the gate after use, automatically securing the ladder opening. It can be attached to the vertical side using Lobands, providing a self-closing gate. 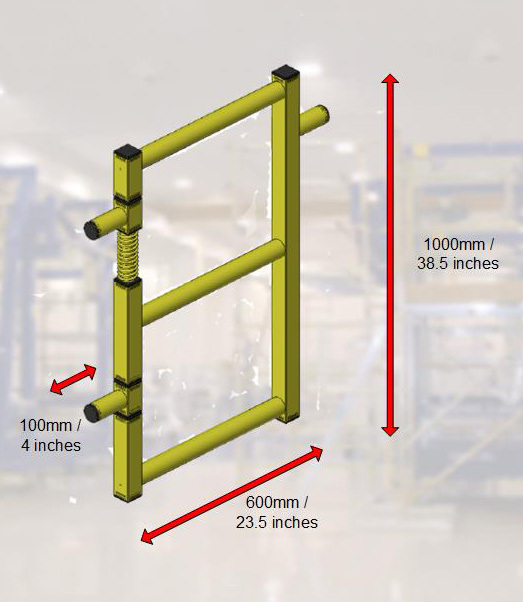 A side-stop is then attached to prevent the gate from opening outwards, reducing the risk of accidents due to falling. It is reversible and simply attaches using 3 Loband couplers. Two of the Lobands are used to fit the gate and the 3rd Loband is used to attached the side stop.